A living, worshipping community is one of the few places in modern Britain where people can meet across generations and backgrounds. At Lancaster Priory, children and teenagers take part in our worship as valued choir members, acolytes and readers. By sharing their time and talents they learn about their faith, get to know others and, above all, feel they belong, both to the Church and to God. The many other children who join us go out to their groups where we hope they will experience God’s love in the welcome they receive, the prayers they pray, and the Bible truths they learn; and we think they do this best when they are having fun. We meet every Sunday at the 10.00am service during term time and most Sundays during the holidays. The younger children start the service with their parents and then, after the first hymn, go with their leaders to their groups, while children in years 5 – 8 are dropped off before the service at the Priory Hall. (Please ask the stewards for directions). Towards the end of the service all children return to take Communion or receive a prayer of blessing with their parents. Children under the age of two are welcome to join our creche, with its toys and books. Parents are asked to stay with them. Children aged 2 – 4 are encouraged to listen to the Bible stories and join in with all the activities, but if they just want to play that is fine. Parents are welcome to leave if they think their child is settled. Children in Reception and Year 1 talk about the Bible story, pray, sing and enjoy taking part in related craft and games. Children in school Years 2 – 4 play games, act, make stuff and discuss the Bible stories all with plenty of laughter and noise. Children in school Years 5 – 8 have the use of the large Priory Hall, where we explore the Bible passage through discussion, acting, drawing and prayer. There is also always time to play a game of dodge ball, football or balloon volleyball, while those who do not want to play have the chance to chat or play a board game. 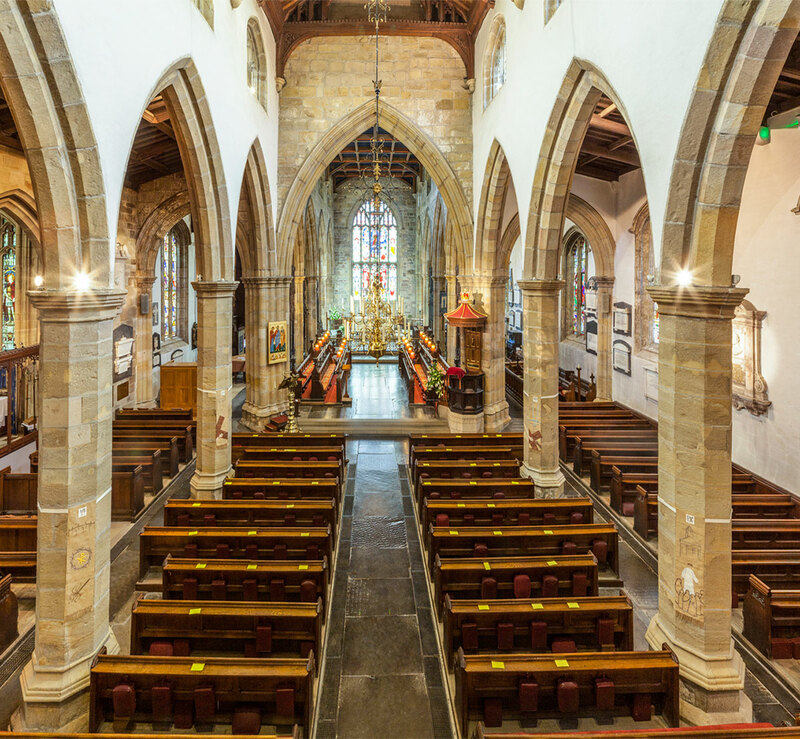 Lancaster Priory Church works to encourage a safe environment for children – see our Safeguarding policy here.